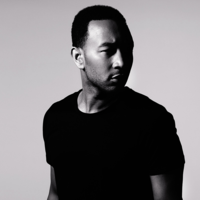 John Stephens (born December 28, 1978), better known by his stage name John Legend, is an American recording artist, musician and actor. He is the recipient of six Grammy Awards, and in 2007, he received the special Starlight award from the Songwriters Hall of Fame. Prior to the release of his debut album, Stephens' career gained momentum through a series of successful collaborations with multiple established artists. Stephens added his voice to those of other artists, assisting in them reaching chart-topper hits. He lent his voice to that of Kanye West, on Slum Village's "Selfish", and Dilated Peoples' "This Way". Other artists included Jay-Z's "Encore", and sang backing vocals on Alicia Keys' 2003 song "You Don't Know My Name" and Fort Minor's "High Road." Stephens played piano on Lauryn Hill's "Everything Is Everything."